Low protein may be causing fewer muscle gains. ...but possibly holding back the muscle gains from exercise. No protein shakes. Always thought a healthy diet should be enough! ..and no protein shake either! This is not about telling you how to eat or live, but it may just cause you to think about whether to have that protein shake or not! Plus always remember that if you haven't exercised your muscles hard the protein is just calories that can get converted to fat. There is a theory that too much protein may accelerate ageing and there is much research being carried out.. It is thought that our cells need protein to replicate themselves when damaged. But if the protein is not available, it is thought that the cells repair themselves rather than replacing themselves. As there is a limited amount of times our cells can reproduce before they die (You may have heard about the telomeres) it is better for them to repair! Plus each time the cell does reproduce there is a greater risk of it not being a perfect copy – just like a photo-copy of a photo-copy is not as perfect as the original. This is ageing and if the cells can repair - perhaps there's a chance ageing can be slowed. 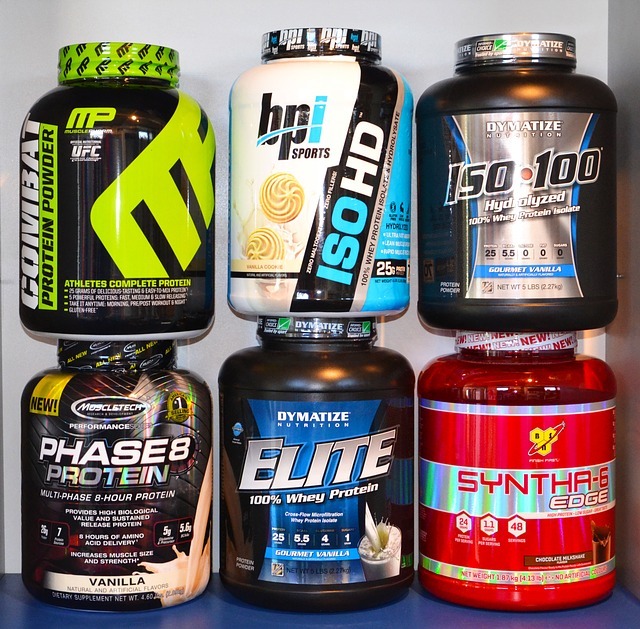 However there is much research happening and I don't pretend to know enough to advocate this but as I believe in everything in moderation, I am not going mad with the protein shakes! Days like today I do wonder if my refusal to do the whole extra protein thing is worth it! A little bit of shape to my body, but I'm no muscular personal trainer! I Could Get Results Quicker, but.. I have had a hard weekend exercising and yet again still do not see big muscles looking back at me. I know I wont see a noticeable improvement in just a few days, but I have been doing this for years now – years of a lot of hard work that is not always enjoyable, the enjoyment for me comes from seeing and feeling the results. I do wonder if the results I see could be greater if I were to eat meat or just up my protein intake. Yet I just eat a diet rich in whole foods and do make a conscious effort to limit my protein. I am what's called a pescetarian – a vegetarian who eats fish! But I only very occasionally eat fish and when I do I'll make sure I exercise plenty to ensure the protein has something beneficial to do. Whilst I realise that protein is needed to build muscle, I also am aware of the research that shows a high protein diet also can cause accelerating ageing. Plus a diet where protein is derived from vegetable sources as opposed to red meat can show many health benefits such as lower risk of some types of cancer. A vegetarian personal trainer may not be totally unique, but a vegetarian personal trainer that also does not do the whole protein shake thing and deliberately restricts protein is not the normal personal trainer. For me health and youthfulness comes above big muscles and so I deliberately restrict the protein. However just sometimes when I have worked so hard it would be nice to see the muscles getting bigger a bit more quickly. I am not a naturally muscular body type and sometimes I see clients that do have a naturally muscular body and I know they may see results far quicker than me, especially when they are younger than me. Sometimes I worry that my clients may think me lazy, if only they knew the work I put in! But that is my body and whilst I know the odd protein shake may help I can honestly say I've never had one in my life, believing that you can't beat a normal balanced diet. Now I also know about the link between protein and accelerated ageing I'll put up with the slow muscle gains for the hopefully slower ageing and reduced health risks! Making you feel better about your body - when you see I don't have bulging muscles! I realise I am blaming my smaller muscle size on a lack of protein here who knows.. time will tell! Plus this may help you to not worry about doing the whole protein shake thing! However the ageing aspect may not be so important to you in which case just totally ignore all of this and drink away! Here at this site I am calling myself the Gay Personal Trainer, the Naked Personal Trainer and now the Vegetarian personal trainer (or nearly vegetarian personal trainer). But I am also a conventional personal trainer - some of my long term clients don't know that I'm a vegetarian let alone that I'm a gay naked personal trainer too!, I think they just think i'm normal. Whatever normal is! What's Age Got To Do With It! Our age in this instance maybe is more than just a number. Some studies have shown that after the age of 65 protein restriction does not effect mortality, due to the aspect of accelerated muscle wastage at this age, which can be offset with higher protein. Whereas the 50 – 65 year old age group showed reduced mortality rates amongst those with lower protein intake. However this is where the situation is complex as a few point are raised, mortality and ageing are not the same and perhaps the mortality can be as a result of accidents and life changing events in less strong individuals or simply due to exercising less as a result of less muscle, which goes on to effect health. However if a person were to exercise to ensure the muscle is retained, whilst limiting protein, the results could be different due to their increased fitness and less risk of accidents or injury. Plus I think the 65 year old cut off is odd and magically seems to tie in with the normal retirement age, we are all different and so too is our individual make up. Therefore an individual who does not lead an active life may benefit from extra protein aged 60 whereas a fitter individual may benefit from lower protein intake for a few more years. This really does show that sometimes everything in moderation may be the key!